The piercing noise is overwhelming, and the chaos is rampant between the kennels as the dogs jump and shake their chain link walls. An outsider looks upon this situation and sees no solution to the insanity however; a dog trainer envisions a simplistic remedy. A dog-trainer’s answer is a single whistle and a loud clap. Silence instills on each and every dog with this single motion. How is it possible for fifty dogs to quiet and stop jumping and spinning in their kennels within a second? The truth is in the hours spent individually with each dog. Gaining their trust and teaching them to respect the trainer’s authority, is the job of the dog-trainer. Even before the dog is trained, the practice begins in the years spent learning how to successfully interact with a dog. Growing up, my father has been a world-renowned dog-trainer. He trains dogs in obedience, upland bird hunting, waterfowl hunting, and many other classifications of training such as agility. His dedication to dog training influenced me as a maturing young girl. I wanted to clap once and silence a room of dog cacophony, or raise my hand and have a line of dogs sit. At first I began as the distraction in the instruction sessions with my father, but as time progressed so did my knowledge of how “mans best friend” operated. Knowing all of their avoidance techniques to get out of training, and their communication handicaps is essential to becoming successful in teaching the dogs. As many times as I practiced with my dog outside in the lawn I seemed to always miss a small cue, or command, until I had practiced so many times that I knew it as well as the back of my hand. I quickly learned through my trail and error with my young dog in the lawn that patience is crucial in the overall process because just like learning to ride a bike, there is a long, but steep learning curve that must be found by both the trainer and the dog as one. Once the balance occurred the reward of knowledge and success was enough to forever grasp my attention and love of the practice. The bond between the leader and the pet must be sincere to achieve the anticipated results. Whether basic obedience, or upper level pheasant hunting, the different branches share a common overarching theme; an understanding of the dog’s abilities and trust with the dog. Trust must be built before any progress can be made with the animal. Once you have gained the animal’s confidence a door opens and they begin listening, watching, and obeying their trainer. To gain the trust of the dog the owner or trainer must begin with interactions that do not involve commands. For example, going on a walk with the dog, or even simple things like cuddling the dog. These informal encounters show the dog that they are appreciated and will not be hurt or betrayed by the trainer. At this point in the training, the relationship between dog-trainer and dog begins to take on a more serious tone. The trainer must give clear and simple commands for the dog to learn. No matter what the instruction is, it is very important to deliver it clearly so that the dog understands the trainer, and knows what the mission is. The trainer begins to coach the dog to move through each command correctly. Dogs want to please their owners, not disregard what they are trying to teach them; therefore, they want to trust the teacher. Clear commands enhance this because they believe the owner knows what they are doing. Dogs are very receptive to humans’ emotions. They respond to the commands we give them while reading our emotional language as well, making them not only “man’s best friend,” but also difficult to train. They understand emotions such frustration, fear, and excitement through pitch in voice and mannerisms. When working with the animal we must try and convey a calm manner. The best way to do this is act controlled, be calm and patient, and not make any jerky and unnecessary moves. The result of a perfectly trained dog does not happen immediately. It is most important not to force anything aggressively upon the dog. It is equally important to appropriately reward the dog, as it is to be gentle and not act irrationally around the dog. Rewards in dog training should not be an edible treat, but rather a loving pet and saying “good boy/girl.” The reward of an edible treat leads the dog to expect it and only listen to the owner or trainer when they have a cookie in their hand. In other words the dog will be begging for the food and learning bad manners as this habit progresses. The reward of food is not a good idea for an animal with respect to their health as well. Athletic animals should stay lean and eat healthy food. Their diet is essential to the physical rigor of their sport. For example, a hunting dog may run in the fields hunting birds for as long as four hours. This kind of exercise needs to be supported by a healthy diet not dog bones and doggy treats during training sessions. Within the realm of dog training, there are many categories; obedience training, hunting, showmanship, agility-trial training, rescue and bomb sniffing, assistance training, and numerous other recognized disciplines. 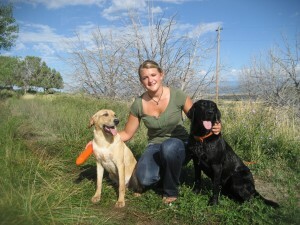 The two most common training courses for dogs are obedience and hunting. Obedience training is most important to all dog owners because it sets a foundation for how their dog behaves in everyday occasions. This includes but is not exclusive to things such as, running on a leash, or greeting someone at the door. It is important that a dog starts training young because his/her brain develops habits and the sooner good habits are created, the more successful the dog will be later in life. Obedience is taken in small steps beginning with manners in the house such as, house training, barking, and chewing. The command sit usually comes next, then practicing the “come,” or return to the owner. A more advanced phase of training includes, “heeling” the dog, or walking the dog without pull in the leash while the dog is directly at the trainer’s hip. This command takes a little longer and usually starts later in the dog’s life. All of these commands are learned through consistency, repetition, and reward allowing the dog to be successful each time. Obedience is the constant baseline that all dogs should learn especially before advancing to other training topics. Hunting is more advanced in its skill level of training and knowledge. Not all breeds are raised to be hunters. Certain breeds have particular hunting instincts such as, pointing, flushing, and retrieving the birds or waterfowl they are hunting. Pointing is commonly used with German Shorthairs and other small athletic dogs. This task involves pacing the fields until the dog spots a bird, they then lock, or stand completely still facing the direction of the bird. This allows the hunter to orientate himself towards the bird before it is spooked into flight. The other method of hunting is called flushing. Larger hunting breeds such as Labradors are more adept to this style of hunting, The dogs run the field in front of the hunter, causing the birds to fly in front the hunter. In both of these scenarios the dog is then taught to retrieve the bird after it has been shot to the owner’s hand gently. A dog best learns how to hunt and retrieve a bird in the field when they are actually being trained in the field with live birds. When a young dog is introduced to the field it is usually in companion with an older seasoned dog who knows what they are doing, why they are doing it, and is already excited about the hunt. Putting the inexperienced dog in the field and shooting over their head before they know why they are out there is equally as bad of a choice as not introducing them to it at all it can cause the dog to become “gun shy”. A “gun-shy” dog will be afraid of the sound of a gun and not focus on his/her task of hunting the birds in the field. This ruins the dog’s chances at being a great hunter due to the trainer’s mistake. Retrieving and smelling the bird’s feathers is a more reasonable introduction to hunting. Exciting the dog about the birds will result in a terrific hunter. The ultimate goal is to allow the dog to enjoy himself, which in turn causes a committed hunting dog. The stereotypical dog-trainer has an image an odd dog whisperer. The image of someone telepathically speaking the “language of dogs” to get them to do amazing tricks and be the sixth sense of a man is often what is conjured when someone thinks of a dog trainer. My dad however is not the stereotypical trainer; he learns about the dog and understands how to work best with them. This talent allows him to be confident and take leadership in the relationship with the dog. He has taught himself all of his knowledge about training, and prides himself on his success with each and every dog because they each take time to train. Dogs are not taught or communicated to in a simple language that the trainer speaks with the dog to persuade them to listen. The skill of training a dog is actually a delicately practiced art that takes years to perfect. Both the animal and the owner must stay engaged in the training while building a concrete relationship of trust and respect. The dog must know that the owner is in charge through simple and clear commands. Body language and emotional presence of the trainer are also critical to the success of a dog’s training. Schooling for dogs begins early in the animal’s life by building a friendship with it as a puppy. This lasting friendship is the key to the animal’s success in obedience training. Once the basic obedience of an animal is established, the more advanced disciplines of training can be successfully achieved. A trained dog is a fully participating member of the family—what a gift for all of you! Dog training is very rewarding. I recall going into my first dog obedence class thinking they were going to train my dog. i found out they train you not the dog.